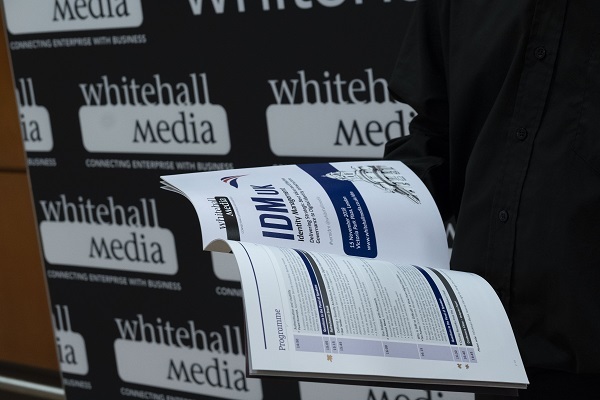 On the 12th June Whitehall Media successfully hosted their flagship IDM event at the Victoria Park Plaza London. The event had an amazing line up of expert speakers from across England and Europe who shared their triumphs and challenges within Identity Management. Hundreds of delegates from across all industries attended the various panel sessions and insightful seminars which ran throughout the day. Due to the event being so successful with new ideas and opinions from speakers, sponsors and delegates alike we at Whitehall Media would like to share the latest developments within IDM which were key talking points throughout the IDM June conference. Simon Moffatt from ForgeRock highlighted the struggles of balancing digital transformation with data security and privacy, putting the customer journey at the centre of his presentation. He maintained that the key to success is a digital identity platform, not only does it help with API Security and Identity Management but enables innovation in areas like consent. Later in the morning Dimitri Chichlo reinforced this idea of companies that are struggling to meet the balance, focussing however on the employees and access management internally, accepting that the process of creation is generally a slow one. He put forward a case study of the practical application of RBAC in a mid to large size financial institution. This reoccurring theme of a proportion of companies not being able to grasp the balance between digital transformation and identity management resonated with many of our delegates, both internally with employees such as finding a demand for a more effective method of granting access rights to individuals and externally trying to make the customer journey flawless and easily accessible without a risk of identity fraud. So what is phygital? Phygital the new buzz word in technology is where Physical Technology meets a digital experience such as Virtual Reality staff training for one example. Johann Nallathamby who is Solutions Architect with WSO2 highlighted the challenges of retaining loyal customers while trying to win over new customers in the phygital space. “You need to implement a lean, extensible, scalable and developer friendly solutions that are able to meet the core requirements of CIAM”. We learnt through this that adopting the right technology, avoiding common pitfalls and by following best practice you should be able to create a strong CIAM solution that is tailored to the specific needs of your organisation. While compliance regulations are being strongly imposed in every sector such as Health, Pharmaceuticals and Financial industries our afternoon speaker Stefan Bosnjakovic delved deep into finding “The Answer to Ever-Increasing Regulatory Pressure for Compliance”. He later explained that old style segregation of duties will no longer satisfy auditors sent out by regulators and that such a formal requirement needs a stricter more formal approach such as Enterprise Domain Annotations. Don Thibeau from Open Identity Exchange took a pragmatic look at ensuring conformance to open standards via self-certification using the Open ID Certification Program as a case study. This presentation outlined how registering trust frameworks ensure transparency needed to build and maintain the trust needed identity systems at scale. The team at Whitehall Media would like to extend our thanks to speakers for presenting on the day and to our Chair Sarb Sembhi for keeping the day to time. A special thank you to our Platinum Sponsors ForgeRock, Omada, Ping Identity and SSH Communications Security. If you missed our IDM conference for June 2018, then be sure to join our next event which is set to take place on 15th November 2018 at the Victoria Park Plaza in London, register today!